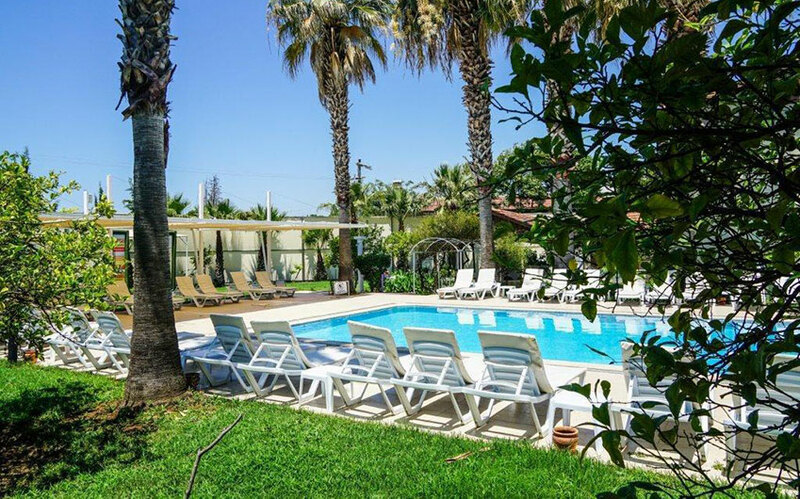 Two interconnected rooms with a double bed and 2 single beds, 1 bathroom, balcony with garden or pool view. 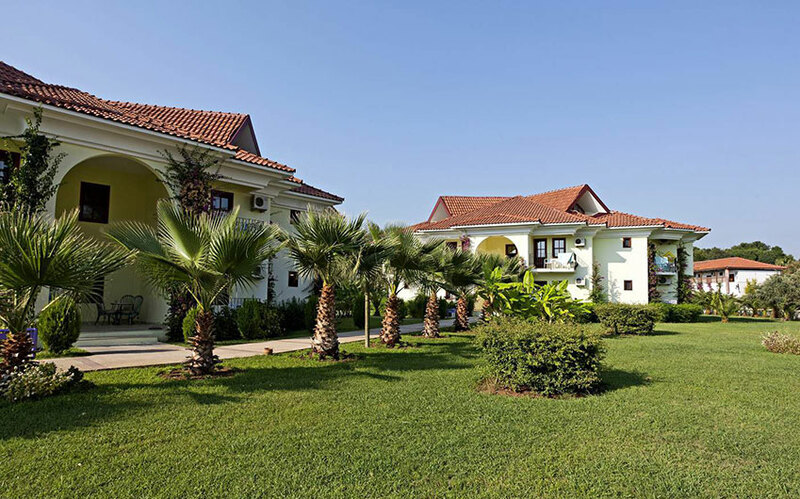 Villa with private garden, two bedrooms with 2 double beds, two bathrooms and a living room with 2 sofa beds. 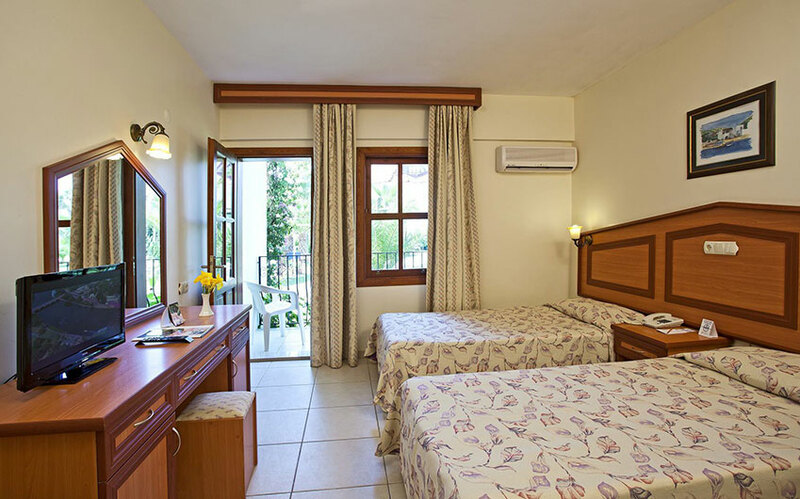 Room with a double bed or 2 single beds and balcony with garden or pool view. Extra bed can be added. 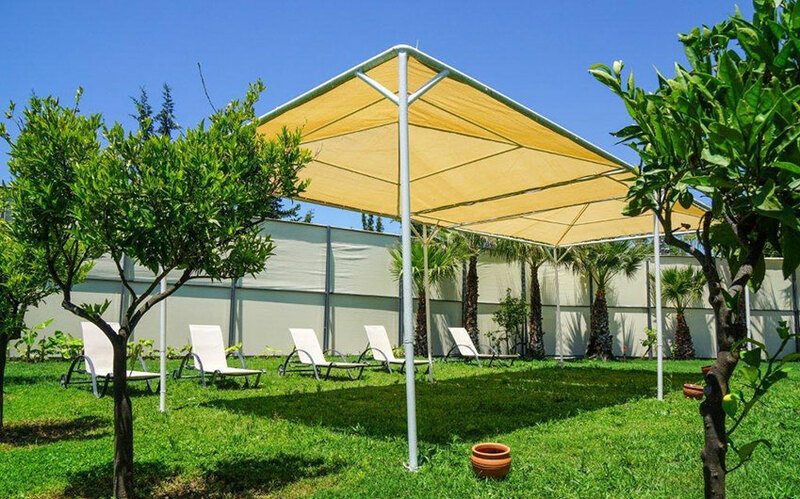 Katranci Park Hotel is the finest selection to fulfill your Islamic vacation needs and desires. 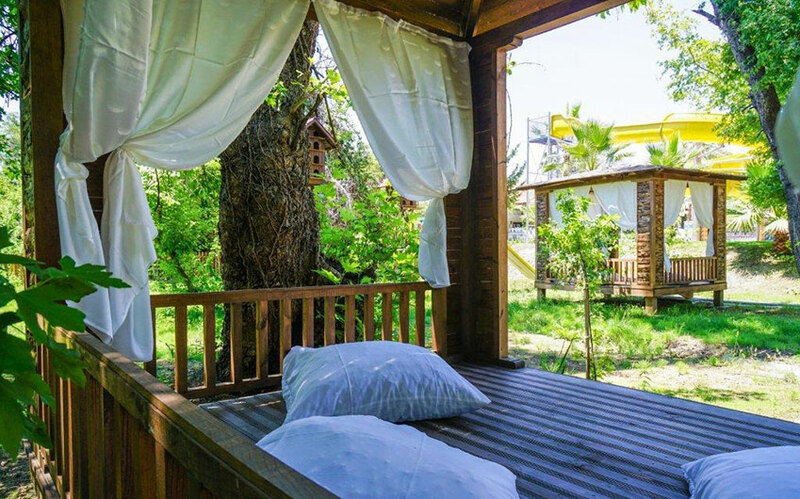 Katranci Park is built on land consisting of rooms and villas, located in the Aegean region. 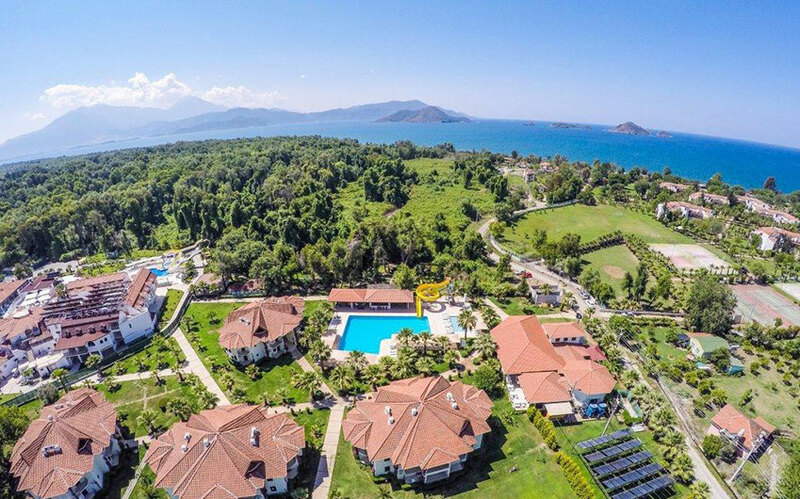 It is also near Fethiye Marina and the city center, offering easy access to the beach. 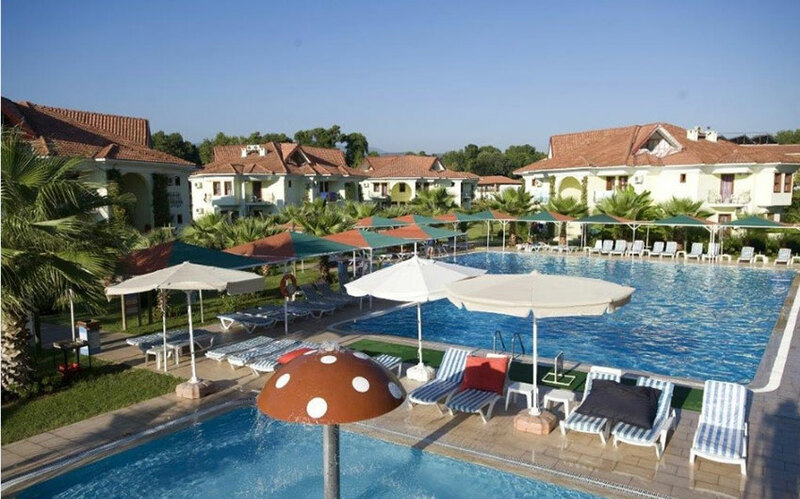 Keeping up with the “Muslim Holiday” notion, Katranci Park Hotel in Fethiye is a very cordial destination to let you admire and appreciate an astounding vacation. 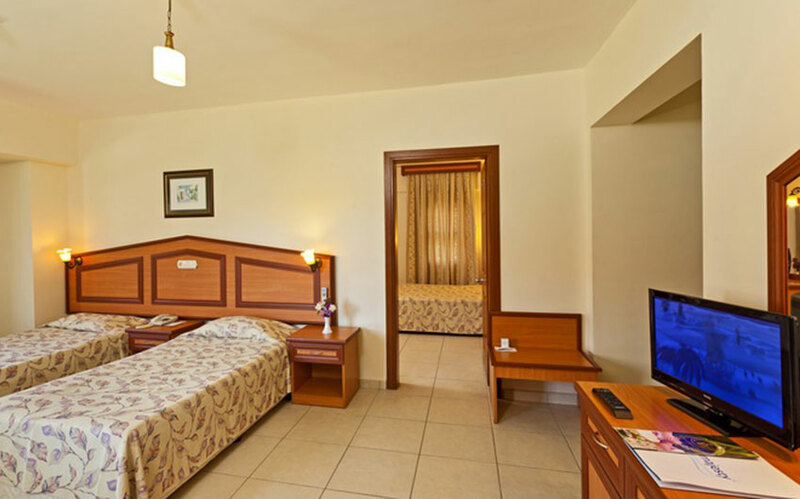 Prices are based on all-inclusive services with open buffet breakfast, lunch and dinner. 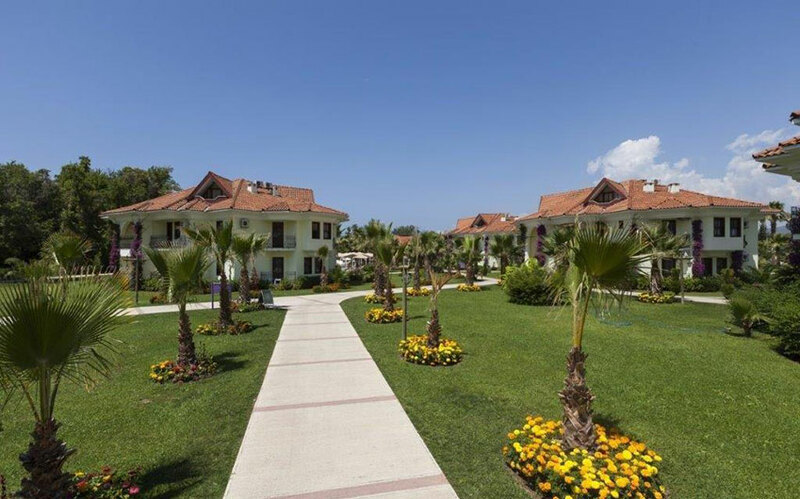 Mixed beach for families is located 250 meters away from the hotel. 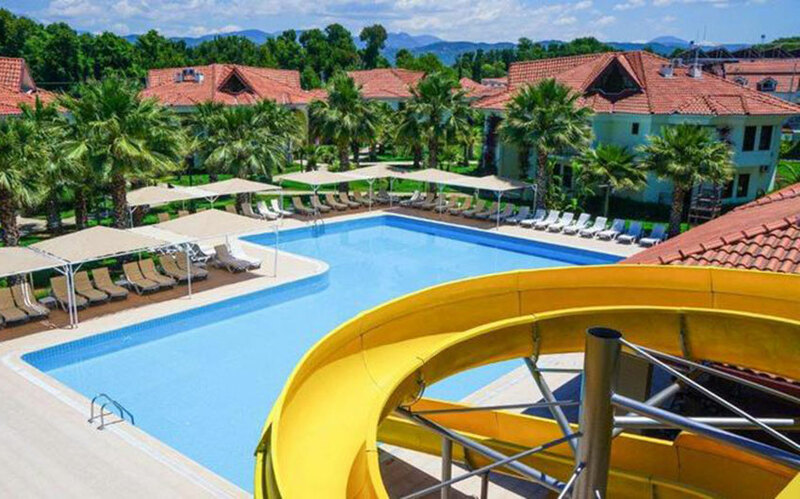 1 outdoor pool for women only and 1 outdoor pool for men only with water slide and kids’ pool. 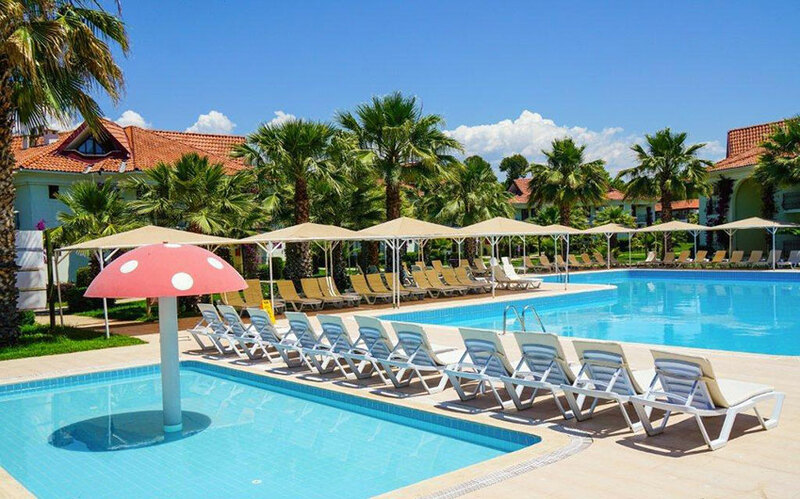 Sunbeds and umbrellas by the pools. 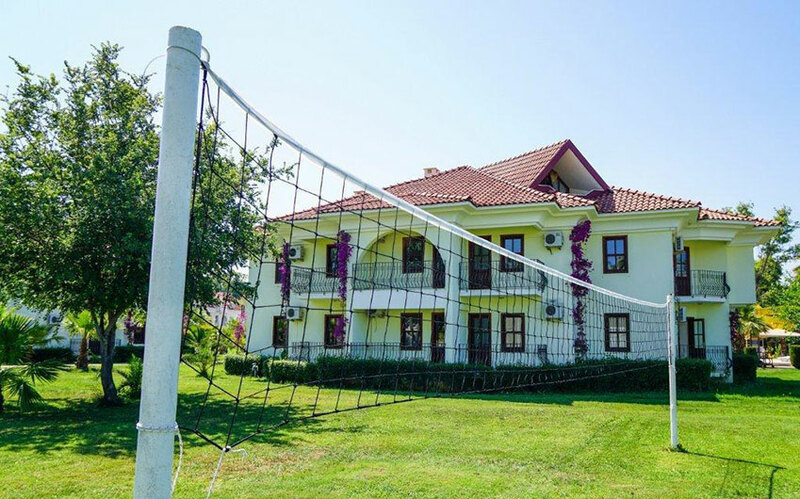 Usually include table tennis, billiards, cycling, darts, and rental bike. Children playground area and kids pool. 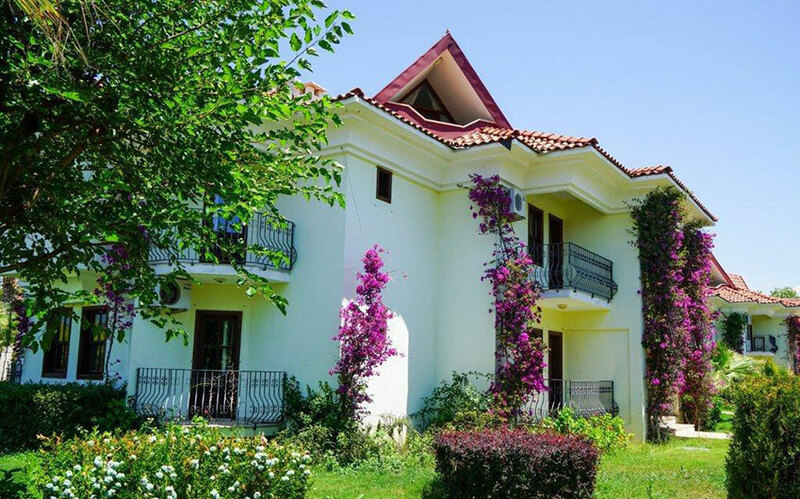 Located in Yaniklar, Fethiye, Turkey. 45 minutes transfer to Dalaman (DLM) International Airport. 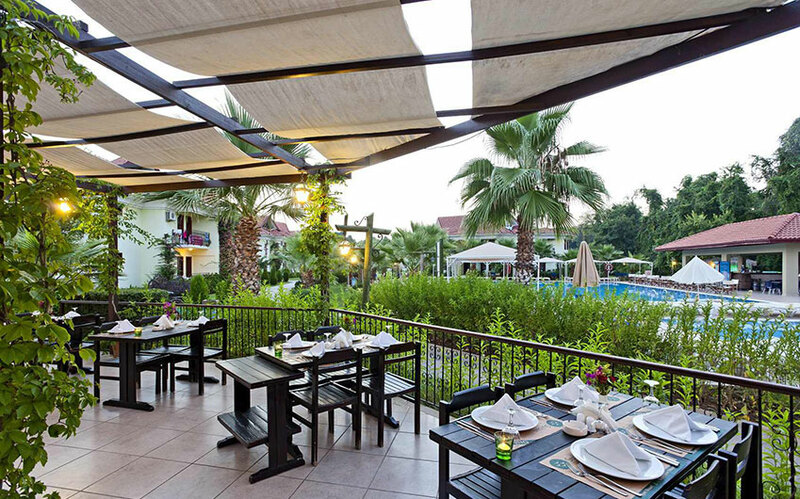 The Main Restaurant of the hotel offers open buffet Turkish cuisine for breakfast, lunch and dinner. 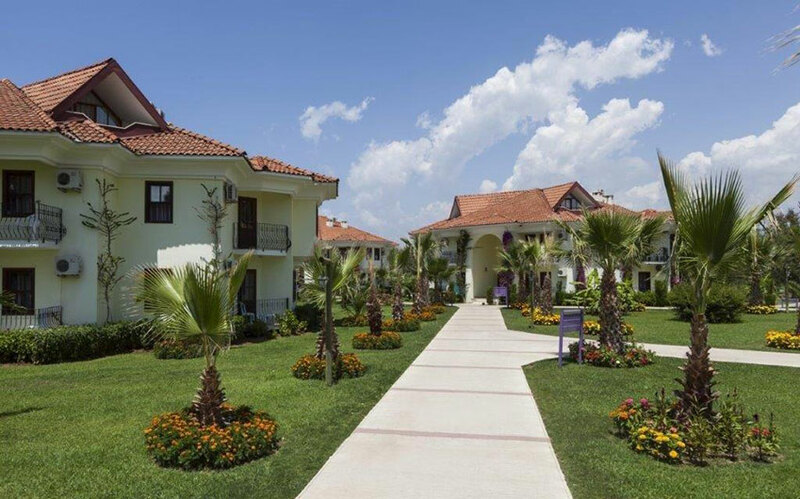 There is also Huzur Cafe that offers snacks and drinks. 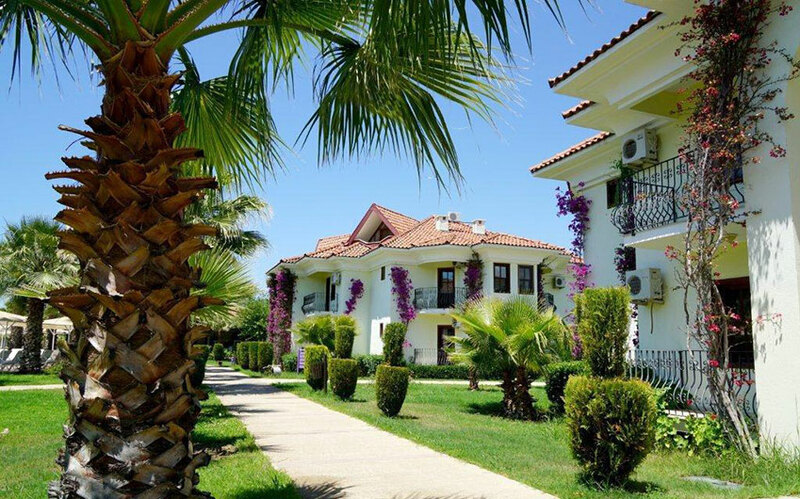 Fethiye is a tourist city with a cosmopolitan feel. This town has a superb marina and vibrant nightlife. It also provides a fantastic base for exploring the central countryside, and is perhaps the only city in the world where sarcophagus is found in the streets. These pre-Roman Lycian artifacts are expressively stunning when illuminated during night. The population of the town rises noticeably during the high months from April to end of October. This is the time of the year when the offshore dwellers enjoy the suns at their second homes. Olu Deniz is the top place for paragliding in Turkey, so if you are courageous enough then you must try this adventure once at least. During flight you can take plenty of pictures and make videos. 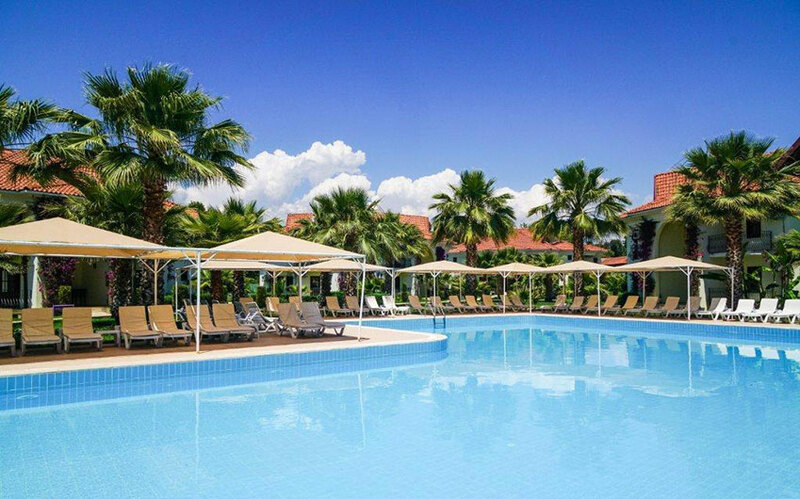 Several tour companies on Olu Deniz beach arrange this mind-blowing event at affordable prices. A fleet of boats of all dimensions leaves their dock berths everyday at 10 in the morning and return around 6 in the evening. Although you can rent the entire boat in advance, most operate on a first come first serve communal basis. Sojourns during the voyage include beaches, local lagoons, sea caves and other lineaments where you are given time to explore and swim in the islands. 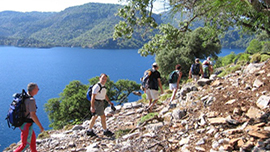 Stroll the Turkey's Lycian Way, popularly considered as one of the world's amazing trails. Boost the praise for the landscape of this historic yet beautiful country in a fashion that is hardly possible from inside a bus. Whether a random walker or a genuine trekker, this dynamic expedition will charm those who are seeking a better way to value the superlative panorama. This is the adventure in its richest and simplest form. 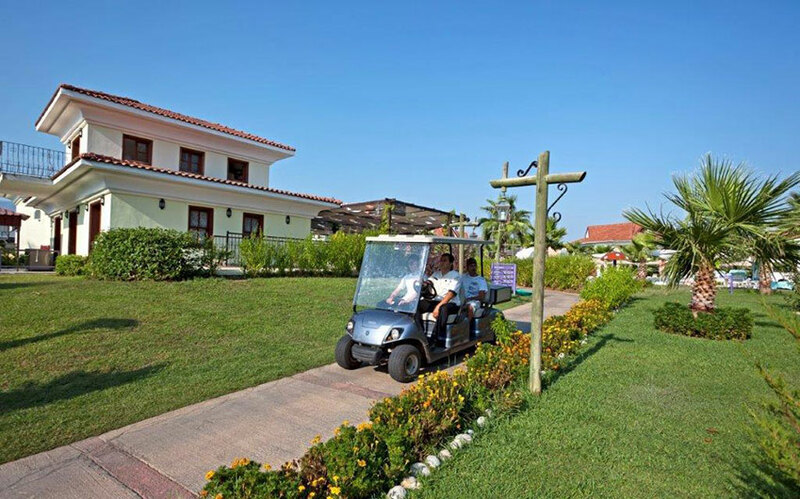 Visit the Butterfly Valley to experience an additional attraction of Fethiye. 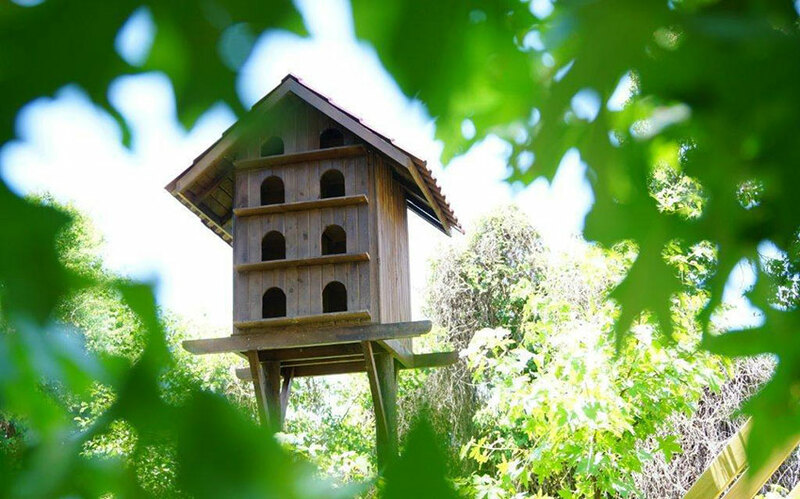 Located in the foothills of Babadag Mountain, this spot is a conserved area with an amazing range of wildlife. It is counted among the must-see places for holidaymakers who want to undertake a spree into immaculate nature. Start your day in a Turkish style starting off with a breakfast. Centuries old Ottoman breakfast menu is going to tantalize your cravings with feta-packed pastries, farm-fresh vegetables, eggs, olives, a variety of cheese and oven-fresh bread. In a pure Turkish tradition, wind down your breakfast with a kettle of Turkish black tea with the perfect brew. Calis Beach checks many boxes. There’s a surf school at the beach if you are inclined towards experiencing a new watersport. 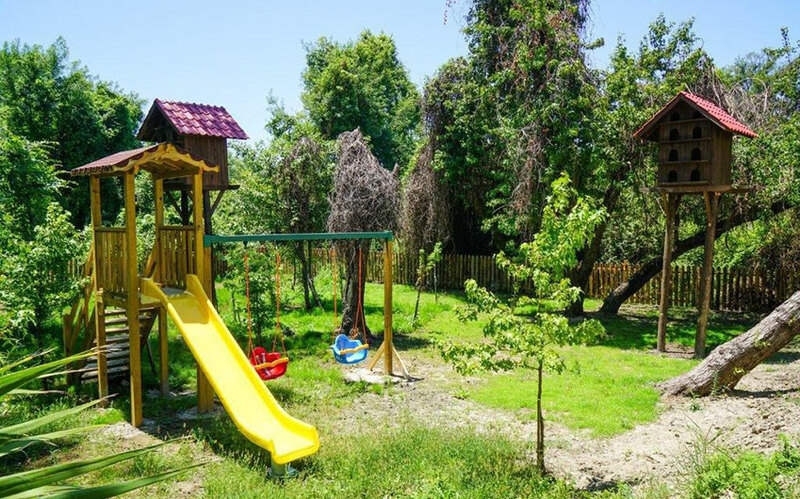 With a small waterpark across the road, there’s a great deal for kids too. There are swimming pools and slides, and after you have paid you can come in and go out the entire day whenever you want. You won’t get fish fresher than the sea bream, octopus and sea bass on bargain at Fethiye’s bustling market and the perk is that you can get it cooked on spot. Pick the fish that delights your taste buds and then carry it to any of the neighboring restaurants. 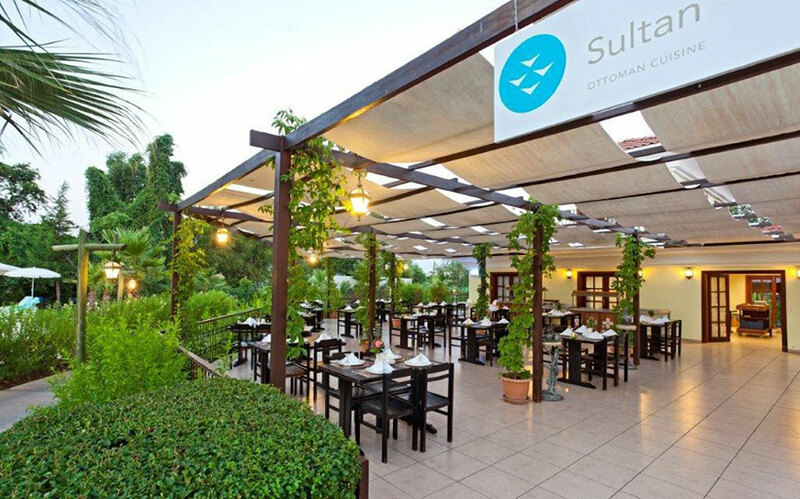 Enjoy the appetizers and Turkish drinks while your fish gets all spiced up and ready. 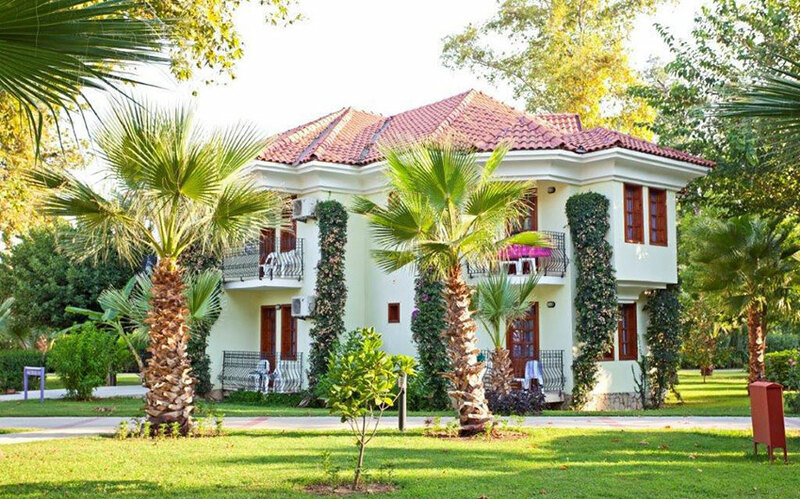 Throughout your holiday in Fethiye you will have the chance to explore lots of olden cities and remnants. 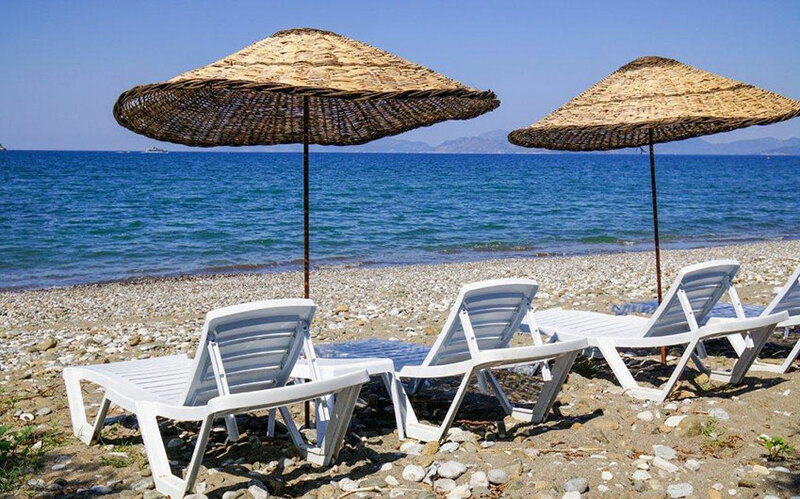 Besides that, Fethiye is the most fitting place to adore the most gorgeous blue sea, the bright shining sun and the most impressive natural vistas of the world. It is supposed that Fethiye, often mentioned as “the untouched virgin of the Land of Lights," was founded in the 5th century B.C. The town that was previously recognized as Telmessos used to be one of the most significant domestic areas of Lycia. Additionally, Fethiye was also an epicenter of prognostication and one of the most civilized cities of the Roman and Byzantine eras. The city, which acquired the name Meğri after its subservience to the Ottomans in 1424, was retitled as Fethiye in commemoration of martyr pilot Fethi Bey in 1934. 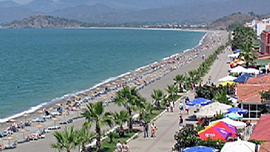 Fethiye has faced numerous earthquakes. Last massive ones date to 1957 and 1961, with 67 victims and 3200 smashed buildings. The city has been restructured since then and in the present it has a prevailing harbor. 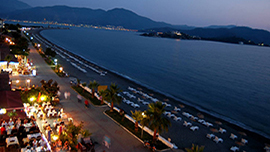 Fethiye is one of Turkey's distinguished vacationer centers and is particularly popular during the summer. 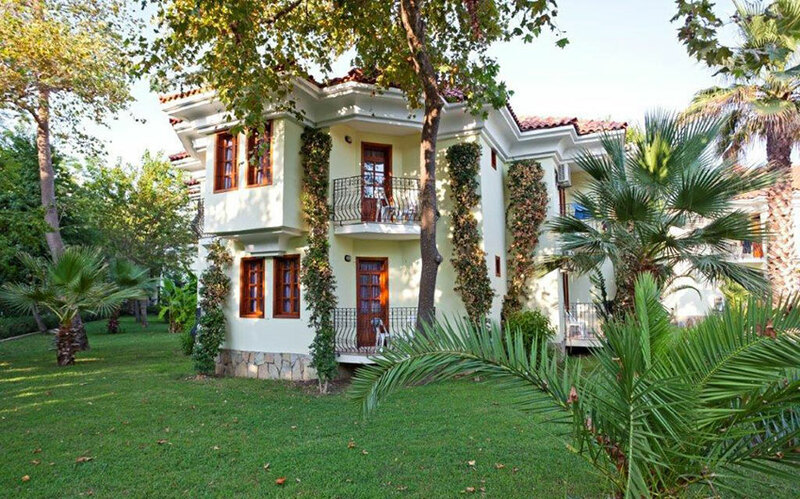 During the last decade Fethiye has turned out to be an allurement for British citizens. Do not slip the venture to discover this crossing of paradise on earth! The antique city is practically like an open-air museum with an extensive array of archaeological sites and it charms the visitors with its historical testaments. The mountainous Tlos near Fethiye gives remarkable sights over the Xanthos Valley. Roman and Lycian wrecks amalgamate here with mountain village life. 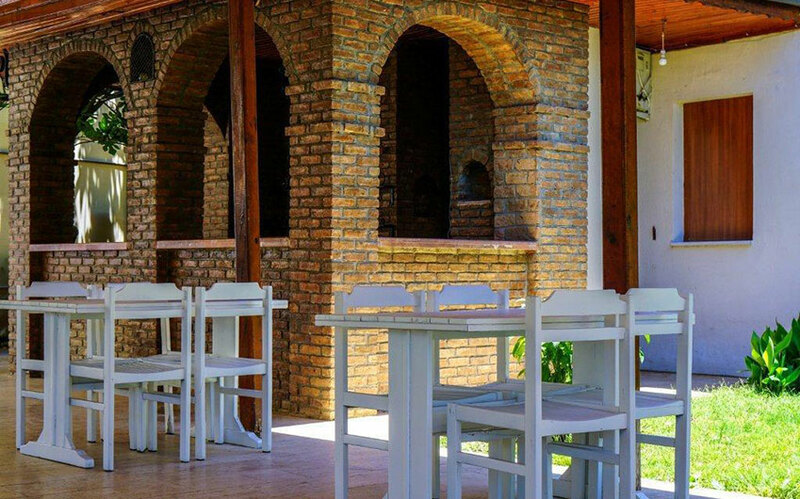 No visit to Tlos is perfect without a stopover for a beverage or food at the Original Yaka Park. 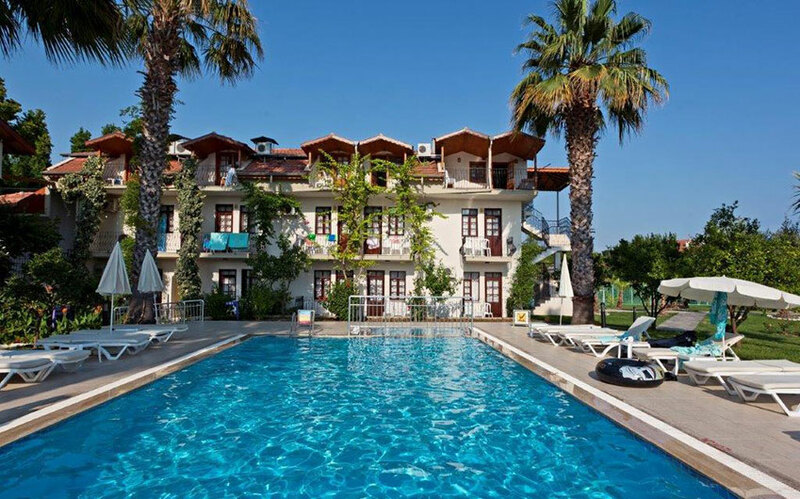 Hire a car and it would take about 50 minutes to reach here from Fethiye. Tlos surely deserves 2 or 3 hours of your time. Once you've traversed the extraordinary Tlos ruins in their picturesque backdrop, an outing to Fethiye Museum will demonstrate to you some of the finds from the Roman statues that were newly excavated there. The museum is only small but it's well worth a couple of hours of your time specifically during the rain. Pull just a tad to hike up to the Lycian rock tombs in Fethiye. Lucidly evident in the rock faces, that oversee Fethiye center and the entire bay, are the awe-inspiring Lycian Rock Tombs. 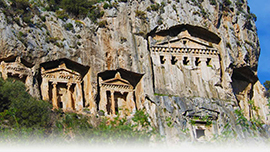 These decorative temple-style places have been hand-carved into the rock as the final sleeping abode for the personages of the local Lycian society. 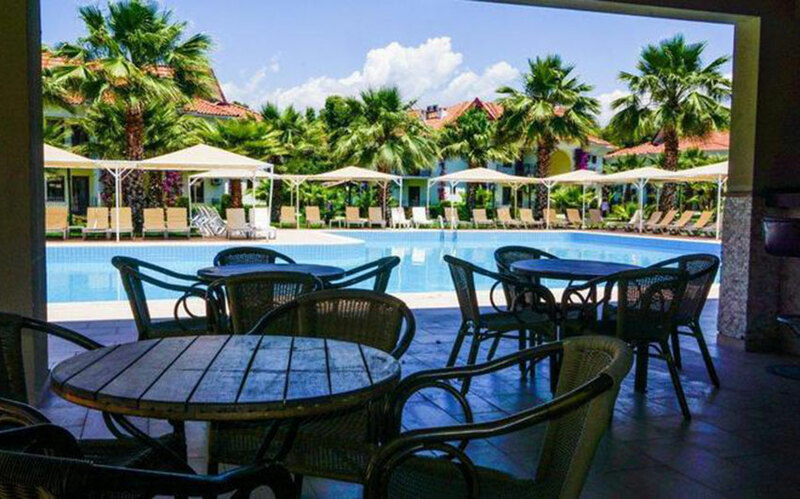 Refresh yourself with a frosty cold Efes Pilsen when you come back down into Fethiye. This 2500-year-old city unlocked its doors to the visitors 10 years back. The town is located at a distance of 24km from Fethiye and features the Agora Temple, Roman Baths and Hellenistic theatre. Other historic evidences to augment to the list include the Lycian sarcophagus, Afkule and the Cave Tombs.